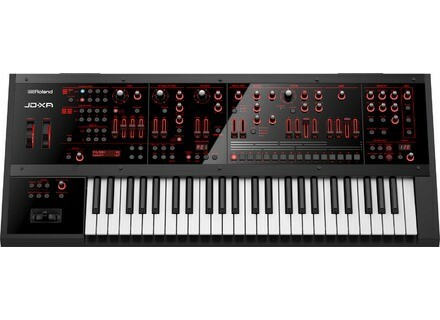 JD-XA, Hybrid synthesizer from Roland. Sit comfortably with a cup of coffee, and watch this 18-minute presentation of the new Roland JD-XA hybrid synthesizer shot today at Musikmesse. [Musikmesse] Modal 001 compact synth The Modal 002 hybrid synth now has a little brother, the 001 duophonic and bitimbral model that is introduced at Musikmesse today. [Musikmesse] Roland Aira goes semi-modular As expected, the Roland Aira series takes a semi-modular turn with a new System-1m core and four effect modules. [Musikmesse][VIDEO] Modal 008 synth Here’s a presentation of the Modal Electronics 008 analog polyphonic hardware synthesizer, probably one of the highlights of this Musikmesse 2015.